For me, Ty, there is nothing better than beating the number. Ive spent the vast majority of my life learning techniques that I feel gives me and my staff the best opportunity to beat the line. Im very competitive by nature, so my love of winning keeps me motivated every single day. The great thing about sports betting is that every single day brings a new set of lines and numbers. By capping every game, Im able to find the best value on the board. I specifically like to bet on underdogs that I feel have the best chance of winning the game outright. I follow line movement and betting percentages constantly, as I feel understanding why a line moves is just as important as breaking down the game itself. My clients are incredibly important to me. Their trust in me is another factor in me spending the amount of time i do on my research and plays. I want my clients to be successful in this venture. I take pride in answering each and every question a client may have for me. I'm a proven long term winner with a vast array of knowledge in all sports. Having known several lines makers and becoming friends with sports books managers, has given me knowledge that is priceless. I use all of this to deliver the best picks against the spread for each and every one of my clients. My specialty is working with you one on one to develop a great relationship and provide you directly the best picks to profit off of. How it works is easy, let me do the leg work and crunch all the data and when we win ill take a fair percentage. I only make money when you do, its that simple, and I love making money. 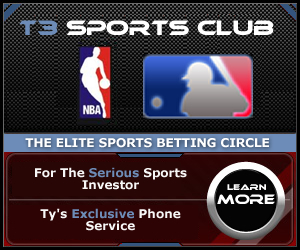 My website provides many sports packages and individual picks for just about any sports bettor. 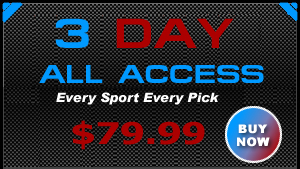 Once you order youll have 24 hour a day access to all your picks simply by logging in. So you can wake up, login and get the info you need to slam your book each day. I believe in transparancy, so I am independently monitored at several places and my detailed records can be seen all over the net. Im aware theres alot of handicappers out there, some are pretty good sometimes, but I do this for a living eeach and every day all season long. I bet the same games I release and I love winning, its a rush and of course a boost to my bank account. I dont throw hype, yell and scream, instead I am a guy who advises you very clear on what to do so you can make serious money. Action, well youll get plenty of it, since i work around the clock and release several plays each day. Theres a ton of bad information each day poeple are exposed to, and along with it tricky vegas lines moving, and of course your need to bet, and also sometimes passion about a few teams. Drama doesnt increase your bankroll, true rock solid information from my sources ive got in place are what is important. Enough talk, let me prove to you what we can do together getting on the right sides of the games. Give me Ty a call at 305-986-9877 and let me give you a free play and introduce you to my services. Winning is my only way and it can be yours as well.